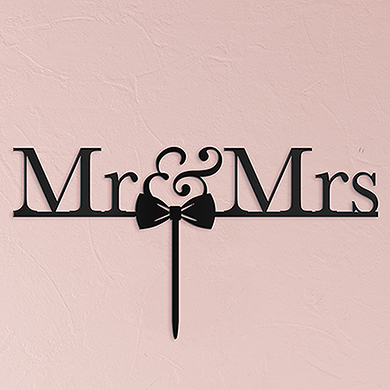 Express your newlywed status on top of your cake with this classic “Mr & Mrs” cake topper. The addition of an adorable bow tie adds a hint of whimsy to this otherwise traditional design. 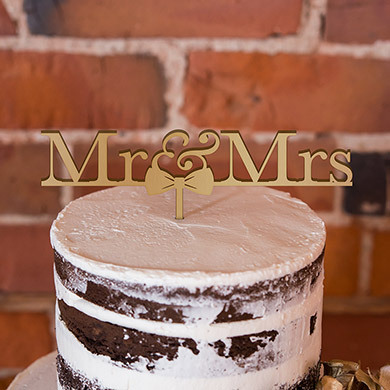 Simply place the food safe stake into the top of your cake for a sweet finishing touch that’s all about you.